This bike had been my dad's for a number of years and served him well, but around 2005 he had his eye on an '86 Aspencade. So we worked out a deal, and we sold our two 1981 Honda's so I could buy this one from Dad. 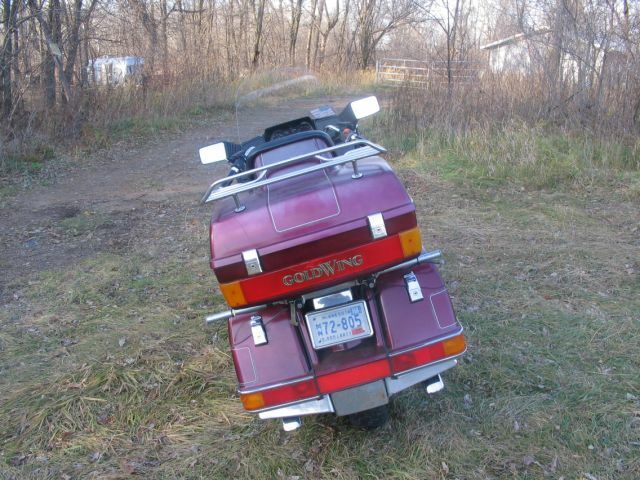 There's really no need to go into all the special features that make GoldWings such great bikes since everyone that's into motorcycles seems to know about them, but suffice it to say, this was the best bike I had ever ridden as far as highway cruising comfort went. 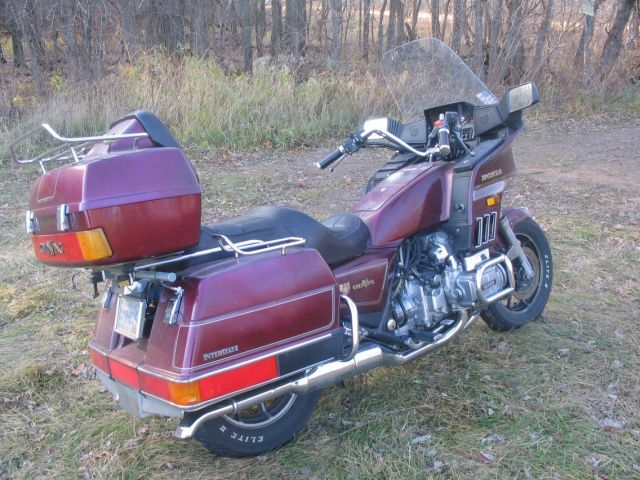 Even though it was 20+ years old when I got it, and it had over 90,000 miles on the odometer, it still ran great and provided all the wind protection and touring storage you could ask for. It wasn't much to look at since the paint had faded, the radio was missing, and some of the fairing moulding was gone, but it ran great, didn't leak oil, and got over 40+ mpg despite it's 800 lbs. wet weight. 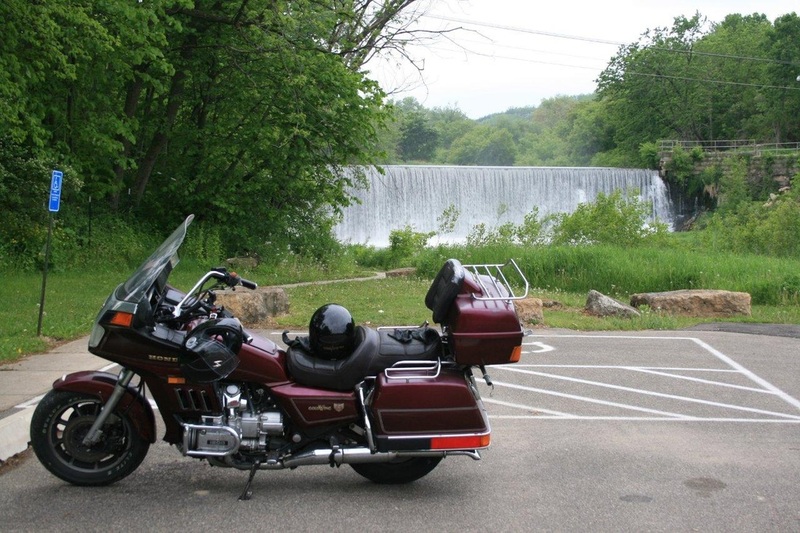 In 2009 I sold it to buy my current bike, but I'm pretty sure there's another touring machine like this one in my future at some point.